Under fire South African athlete Oscar Pistorius has pictured by a local newspaper at a running track in his carbon fiber blades as the Olympian's agent says his return to training is imminent. 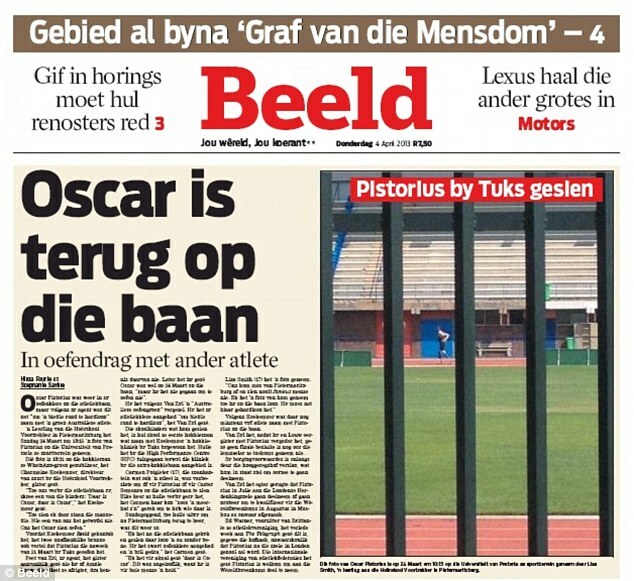 The Afrikaans-language Beeld newspaper has the image of Pistorius, who was charged with murder for the shooting death of girlfriend Reeva Steenkamp, on the front page of its Thursday edition. The double amputee is wearing his blades and walking with his hands on his hips. 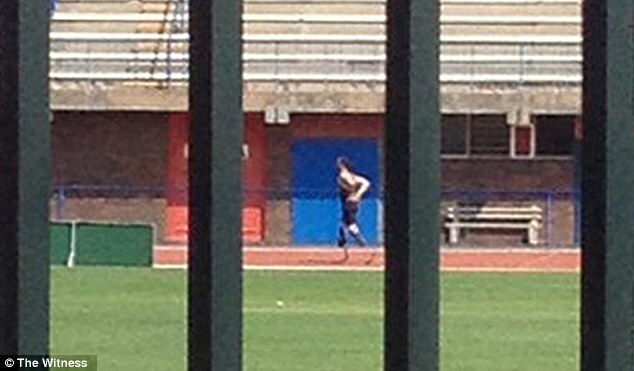 The photograph, taken by a member of a children's hockey team, shows the three-time 2012 Paralympic gold medal winner wearing his blades and jogging around the track at the University of Pretoria. However, Pistorius's agent Peet van Zyl says the athlete has no immediate plans to compete. 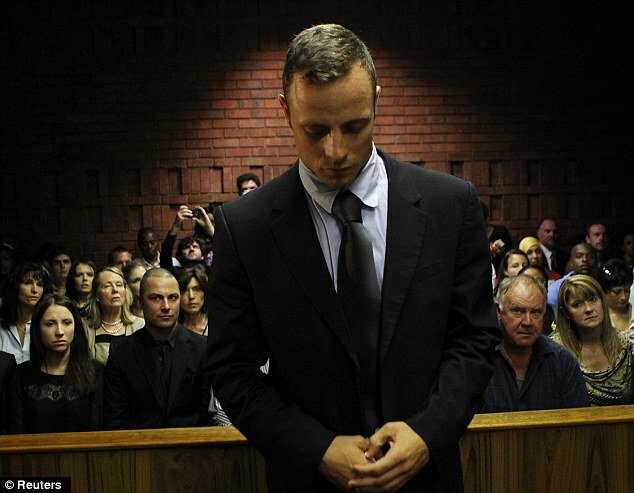 Pistorius, who denies the charge of murdering his girlfriend Reeva Steenkamp and is currently awaiting trial. However, Van Zyl denied Pistorius has returned to training following the relaxation of his bail conditions, which now allow him to travel abroad in order to continue his athletics career, but confirmed he could resume soon. 'That picture was taken by a schoolkid on March 24. Myself, Oscar and his coach had a meeting on Tuesday to discuss him getting him back to training. 'Based on that he told us he would like to get back in training and we can now look at formulating his training schedule. 'He is finding it very difficult and he is still coming to terms with the sad loss of Reeva. That is why it will be better for him to be back at training. It will be great to get him back to the track and get some routine. That's why we are taking it day by day. 'I can't see there would be any people saying this is disrespectful. This is not disrespectful to Reeva or her family. 'This has been part of his life for so many years. If it makes things easier for him to work through it and get some sense back into his life, let him run and let him jog. While a return to training might be on the cards for Pistorius, who holds several IPC World Championship titles over 200 metres, 400m and 4x400m, Van Zyl revealed there is currently no plan regarding his competitive return, if he is invited to compete. Pistorius has not trained for two months since the tragic events on Valentine's Day, and in order to return to competitive fitness he would need to train up to 35 hours a week on the track and in the gym. 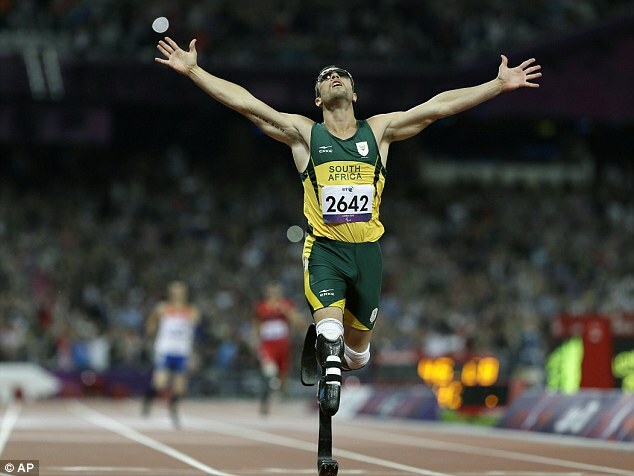 His last competitive race was his victory in the 400m final at the London Paralympics in September last year. Despite reports today suggesting the 26-year-old will be given the green light to compete at the International Paralympic Committee's World Athletics Champs in Lyon in July, the IPC has denied a decision has been made. A spokesperson said: 'The IPC management is yet to meet to discuss this issue so we are surprised as anyone to see this story today.